These are a new addition to our range – their bright colours will brighten up any room. 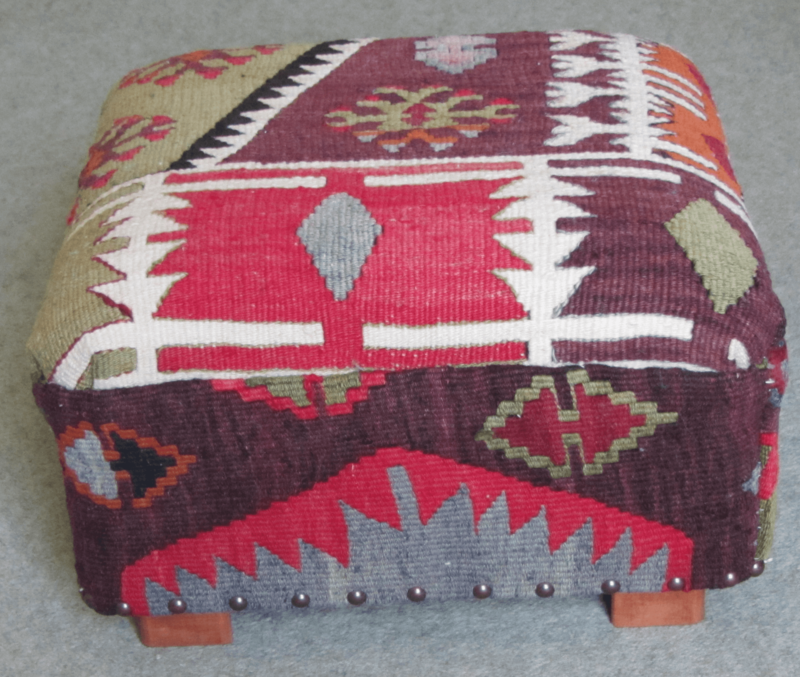 These unusual stools are made here in Gloucestershire by local craftsmen and covered with Turkish kilim. 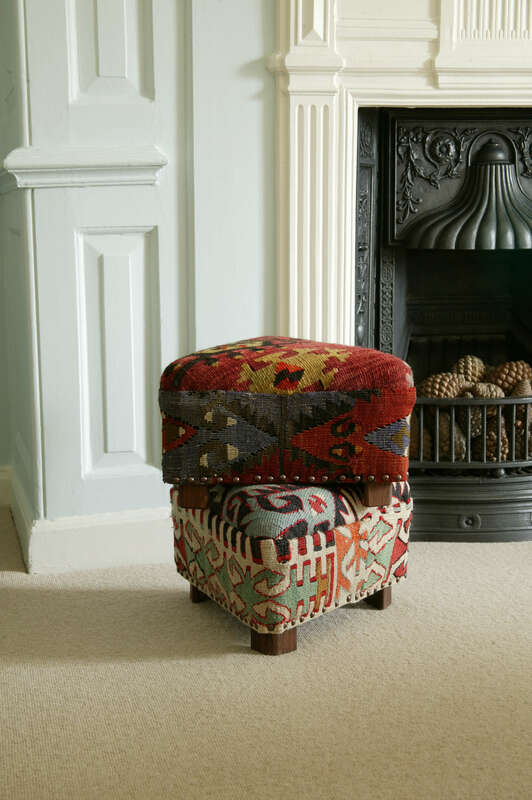 They are so colourful and cleverly fit into a corner when not being used.